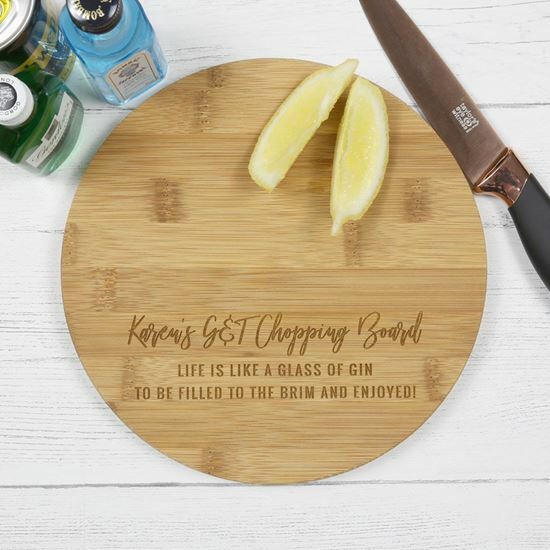 Our round bamboo Gin and Tonic chopping board is perfect for slicing lemons and limes and preparing your favourite drink. 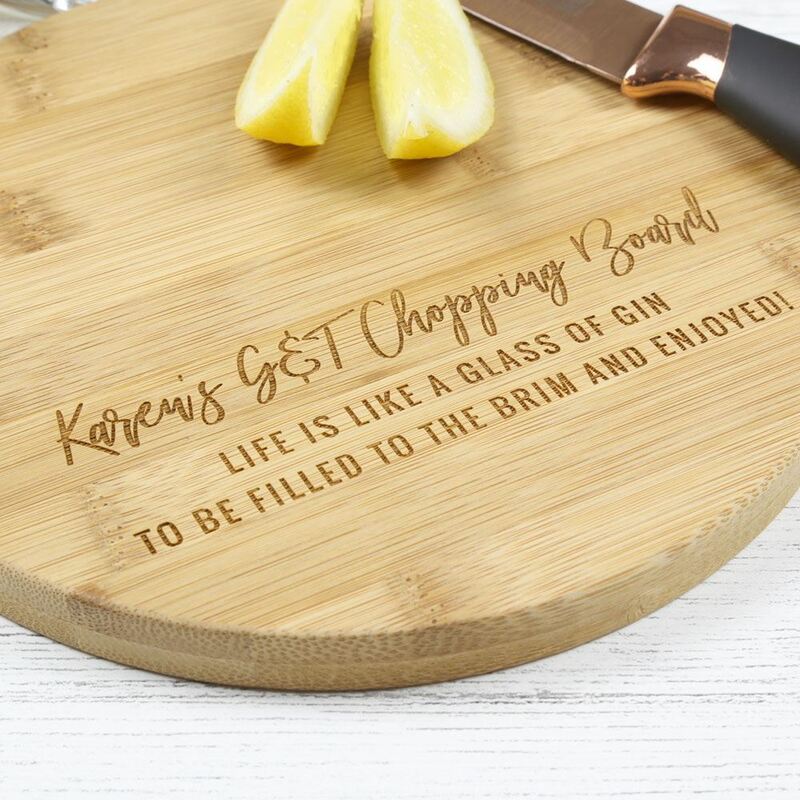 Engraved with your name and with the slogan "life is like a glass of gin, to be filled to the brim and enjoyed" it makes the perfect gift for yourself or for a Gin lover! 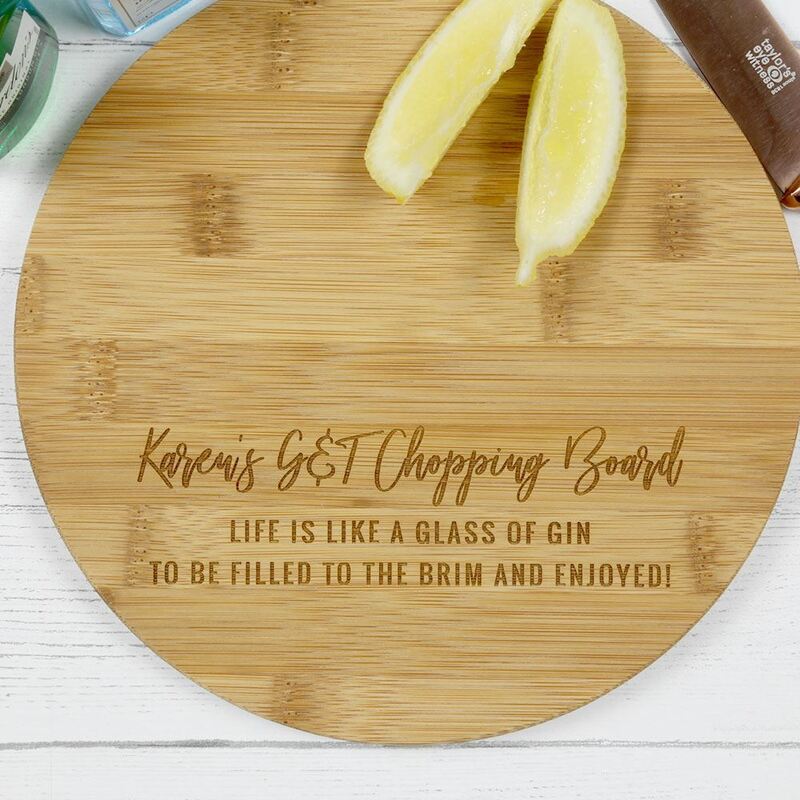 This can also be engraved with a family name, for example "The Smith's Gin and Tonic Chopping Board". 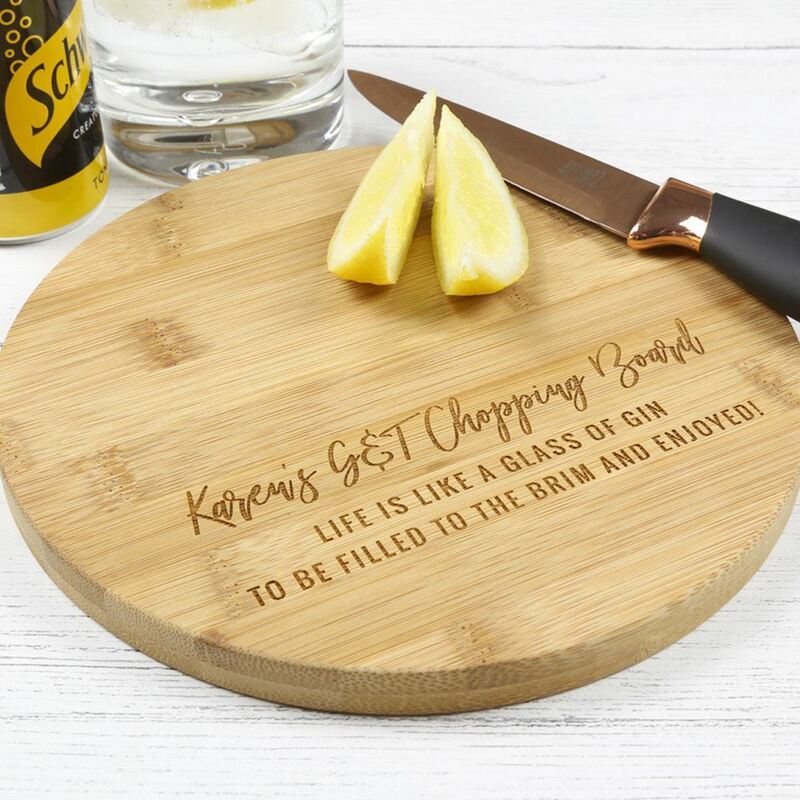 Round - 20cm in diameter and is approximately 1cm thick.